With baking season just around the corner I thought I would share one of my favorite aprons to make. I like it because it is very fast and easy to make and it has lots of coverage especially for us messing bakers! 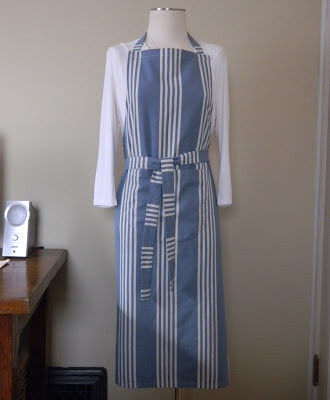 The pattern for this apron is in French General's Home Sewn book. I absolutely love this book it has so many nice patterns for the home. I like buying books like this because they have more bang for your buck. And lots of inspiration! 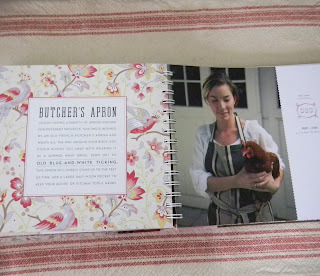 Here is a peek at the page with the aprons I made. This one is similar to the one in the book. It also has a nice big pocket in the front. This apron I shorted up and left off the pocket. I love these but I don't want to have to sew. LOL! They are so cute. Thanks for sharing on "I Gotta Try That Monday"
cute aprons! Thanks for sharing at Submarine Sunday! I don't have a sewing machine,,,,,,,,,,, do you sell these? I love making aprons they really are an easy sewing project to do. Those are really cute and I love your choice of fabrics, thanks for sharing on Printabelle! Wow, this is great! Would love it if you linked up on my blog hop www.w-t-fab.com/search/label/bloghop. Also let me know if you'd like to follow each other! Just dropping by to let you know that I've featured this post that you shared at Marvelous Monday! Congratulations! Come grab your button at Pint Sized Baker! Hi Paula. I love the fabric you used. I wear aprons all the time. I have a linky party every Thursday here in Australia and I'd love it so much if you linked up. Hi Paula, I’m Anne from Life on the Funny Farm (http://annesfunnyfarm.blogspot.com), and I’m visiting from Farmgirl Friday. 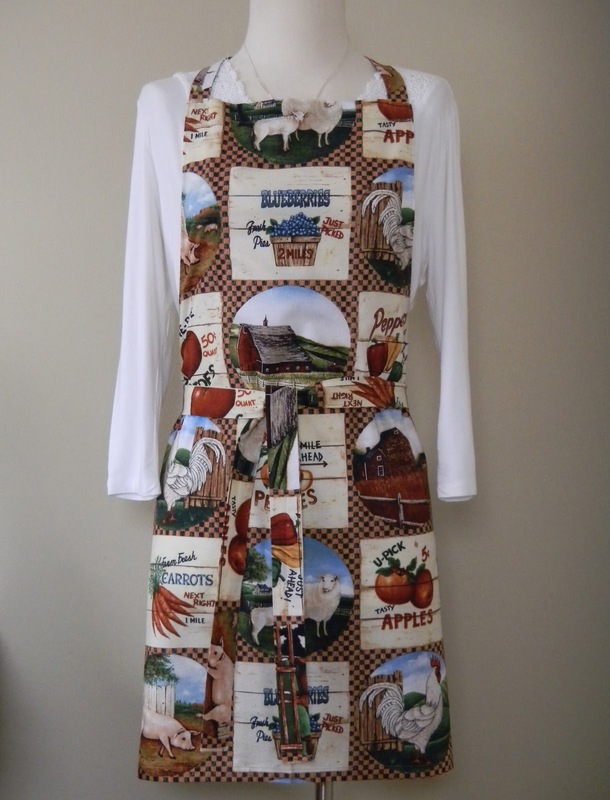 I think aprons make such great gifts. I love the one you showed that's blue stripes, very pretty. I once saw (prob on Pinterest) where someone rooled up an apron and put i inside a mason jar, and attached a recipe card. Love it! What a great book. And you have made something excellent from it. Visiting from Sunday showcase. Gidday Paula. Thanks so much for linking up at Thriving on Thursday. I just adore this! Aprons are the best. Thanks so much for sharing with the Pink Hippo Party! I love that book. I have it. Great aprons! My very first sewing project was an apron when I was little. Mine did not look this good! lol! both aprons look great! These would make great holiday gifts! Thanks for sharing, Paula. I am definitely pinning this post!